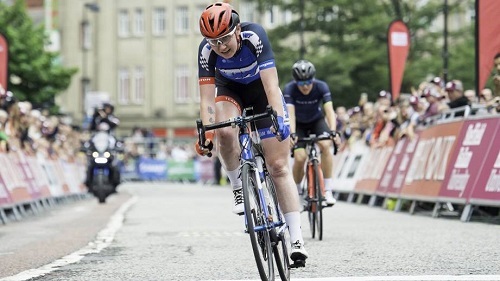 British Cycling has chosen Rochester for the HSBC UK | National Circuit Championships 2019, one of the highlights of the national road racing calendar for the UK’s top elite male and female riders. The riders will race on a looping 1.6km course around the heart of Rochester, starting and finishing on the Esplanade. Previous winners of the race include World and Olympic champions. To celebrate hosting this exciting event, we are staging the Medway Big Ride Festival, giving the people of Medway and visiting cycling enthusiasts and invited club riders the chance to ride on the race route and enjoy a festival celebrating all things two wheeled. An event village will open in Rochester Castle Gardens from 12pm. Club and mass participation rides will take place on the race route during the afternoon. The event will come to a close with the elite races. The elite women’s races will be at 5pm and men’s races at 6.30pm. Spectators will then be able to line the route to support the elite riders. Before the main races there will be a Let’s Ride mass participation ride on the race route. Details of the mass participation ride registration process will be announced on 1 May. To register your interest email circuitchamps@medway.gov.uk. Details of the route and related road closures will be announced by the beginning of May. Letters will be sent to affected properties and organisations and information drop-in sessions will be held.